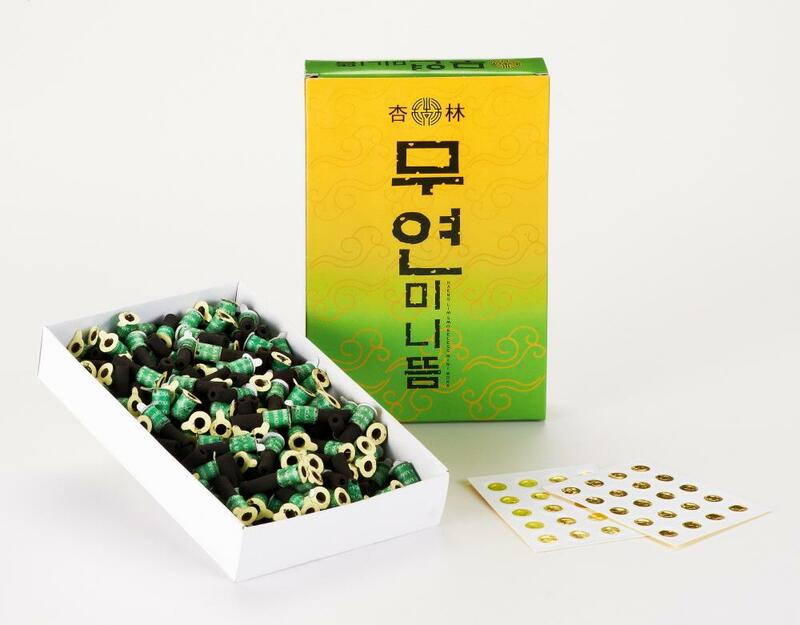 Graceful Essence Herbs - MoxaNOTE:Direct moxa, indirect moxa, and needle moxa should always be administered and used under the direction or supervision of a qualified practitioner. Do not leave patient unattended during any moxa use. Do not use moxa on the face, soft skin, or other sensitive body areas. Do not use moxa on infants or young children. 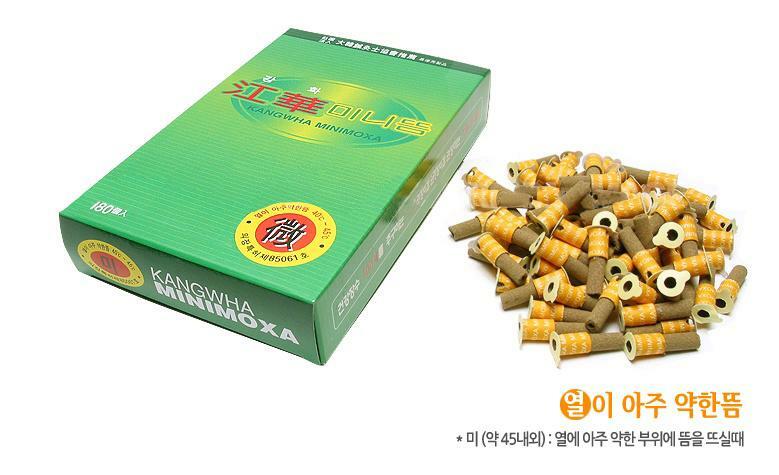 Do not use moxa on patients who are not able to detect the sensations of heat or pain (i.e. elderly, patients with nerve damage, etc). When using needle moxa, a protective shield, (i.e. aluminum foil), must be placed under and around the needle to protect the skin from loose or falling moxa ash. 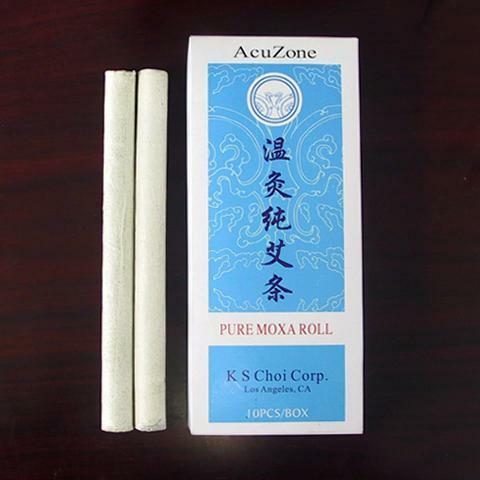 When using moxa rolls, the burned ash must be frequently removed by gently tapping the side of the roll against a suitable container. For patient safety, do not use moxa rolls or any moxa product if damaged or cracked. Always ignite stick-on moxa first and then apply to the point. If heat becomes uncomfortable, remove or move moxa to another location. If used incorrectly, redness or a small heat blister may appear after application. Direct moxa, indirect moxa, and needle moxa should always be administered and used under the direction or supervision of a qualified practitioner. Do not leave patient unattended during any moxa use. Do not use moxa on the face, soft skin, or other sensitive body areas. Do not use moxa on infants or young children. 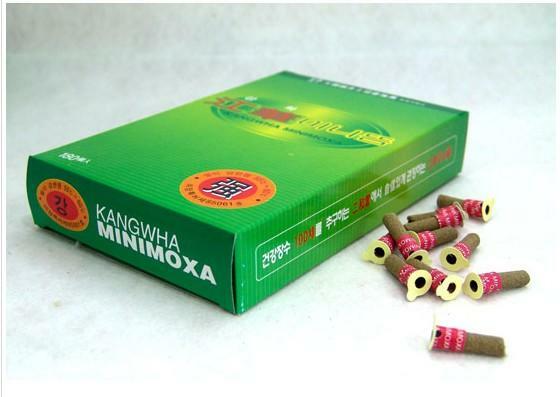 Do not use moxa on patients who are not able to detect the sensations of heat or pain (i.e. elderly, patients with nerve damage, etc). When using needle moxa, a protective shield, (i.e. 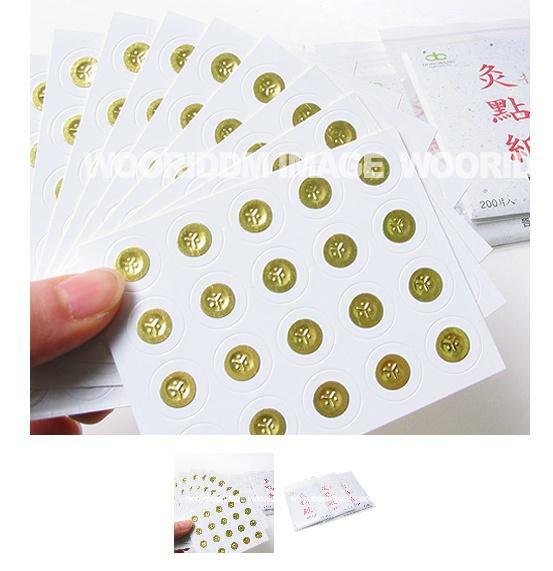 aluminum foil), must be placed under and around the needle to protect the skin from loose or falling moxa ash. 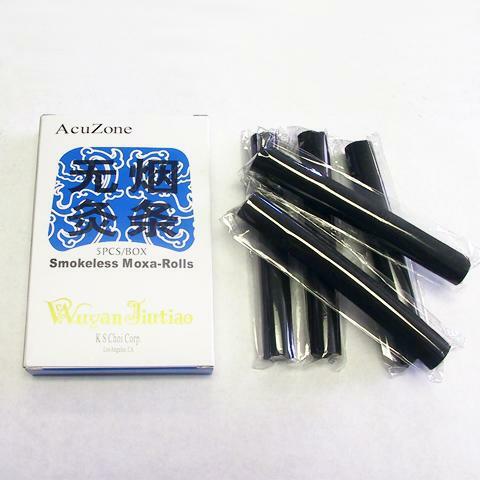 When using moxa rolls, the burned ash must be frequently removed by gently tapping the side of the roll against a suitable container. For patient safety, do not use moxa rolls or any moxa product if damaged or cracked. Always ignite stick-on moxa first and then apply to the point. If heat becomes uncomfortable, remove or move moxa to another location. If used incorrectly, redness or a small heat blister may appear after application. allows the smoke to down draft and pool at the base on the skin. Burns at approximately 3.5" (9cm) per hour. -Made of high quality select moxa, this product makes the characteristics of moxa in practical use possible, so that anyone can confidently use it with ease. Extra skin shields are sold separately. 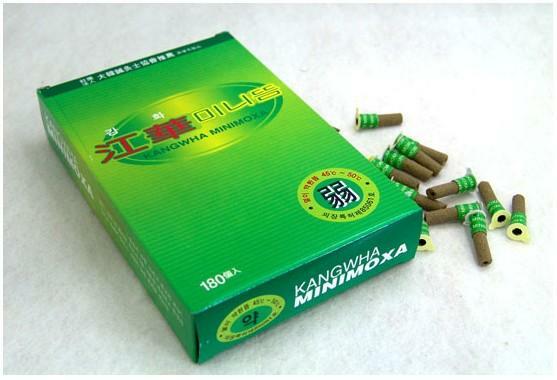 Manufactured under strict quality control guideline of ISO 9001.
menstrual cramps, sprains, intestinal cramps. Football Games, Hunting Trips, Winter Cold. - Single heat pack can provide over 12 hours of use. - Effective temperature of 122~158 degrees farenheit. - Safe for use anywhere at any time. Mugwort, Iron(Fe), Cellulose, Activated Charcoal Powder, Moisture and more. Prolonged exposure to single body area can cause burn! 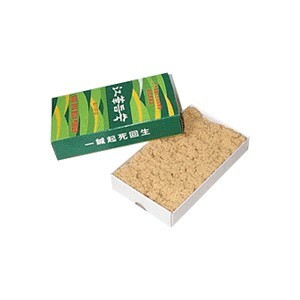 Treatment using Moxa Heat Pack on Children, Weak, and Elderly should be under strict supervision. Avoid exposure to fire, heat source, or with electric blanket. The user agrees to indemnify the seller and manufacturer against any and all accidents caused by improper use or negligence on the part of the user.